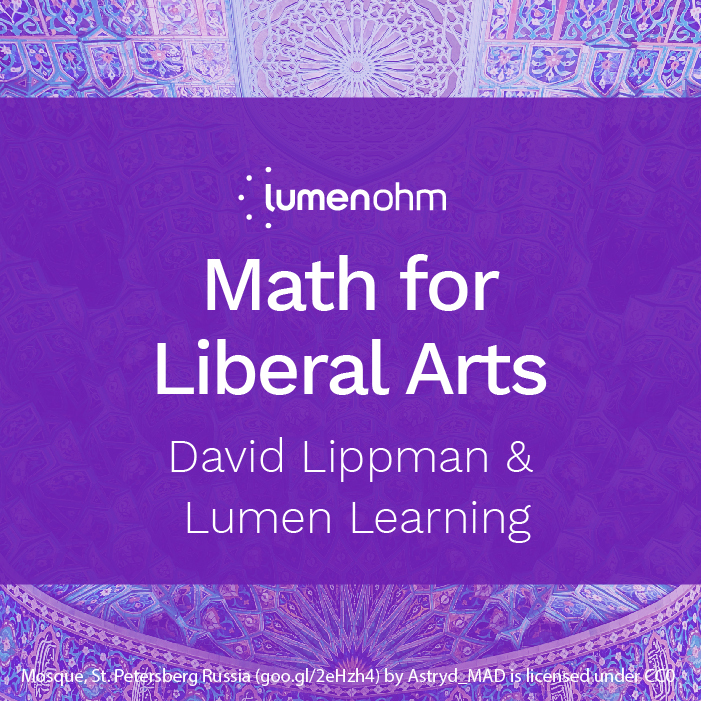 Lumen’s Math for Liberal Arts is designed to provide students with the mathematical skills necessary to fulfill a liberal arts degree. Each module begins with real-world examples to engage learners and provide context for how mathematical concepts apply in everyday life. OER content combines curated text, videos, practice problems, and other learning activities. Topics covered include counting systems, measurement, problem-solving, graph theory, voting theory, fractals, growth models, finance, statistics, and more. Interactive practice problems and online assessments are provided using Lumen Online Homework Manager (OHM), a robust online math homework engine that works inside your LMS. OHM is an extremely affordable OER tool that gives students the practice they need to master math.